Last year’s Houston Boat Show had more than 1,000 boats on display. 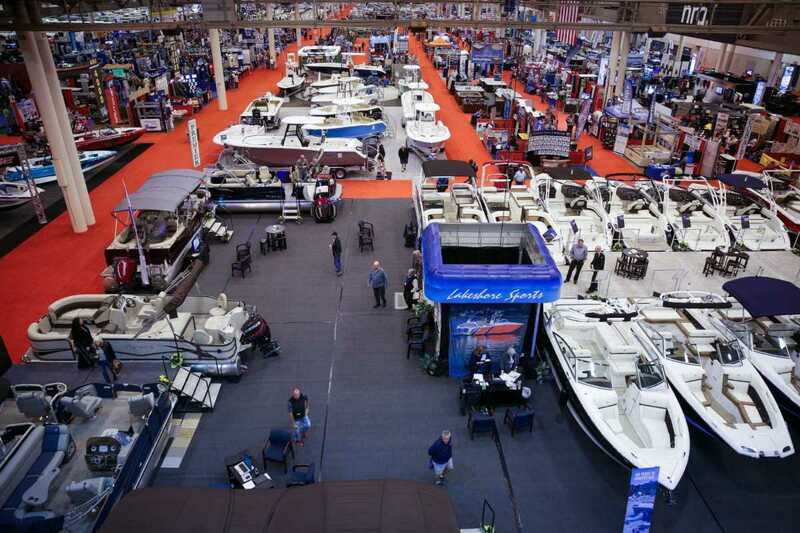 The 64 annual Houston International Boat, Sport and Travel Show opens today at 1 p.m. at the NRG Center in Houston. It will close tomorrow because the Houston Texans are hosting an NFL wild card playoff game at the NRG stadium next door, but will re-open Sunday January 6 at 11 a.m. It runs through Sunday, January 13. Promoters call the event the largest indoor boat show in the U.S., with more than 1,000 powerboats, pontoons, luxury cruisers, fishing models, personal watercraft and manually operated vessels such as kayaks and SUP boards on display. They cover more than 700,000 square feet of the entire floor of the NRG Center. New for the 2019 show, Jonathan Wood, a master falconer and wildlife rehabilitator and will bring a collection of rehabilitated birds of prey to Houston. Other attractions include seminars and fishing demonstrations at the 5,000-gallon bass tub aquarium. The organizers also set up Fish-O-Rama, where junior anglers can try to catch a trout. There is also indoor bungee jumping and a 24-foot inflatable slide. On Saturdays and Sundays, children can also participate in building an 8-foot dinghy.